Impressive features, smart engineering and reliable performance make the new Elite® Series Large Split Systems ideal for almost any application. The Pure Comfort™ system offers superior comfort and energy savings. Up to 16.0 IEER and 12.0 EER for AC matchups. Up to 13.6 IEER, 11.0 EER, and 3.3 COP for HP matchups. Two-stage cooling capabilities allow the system to respond to changing conditions efficiently and effectively. 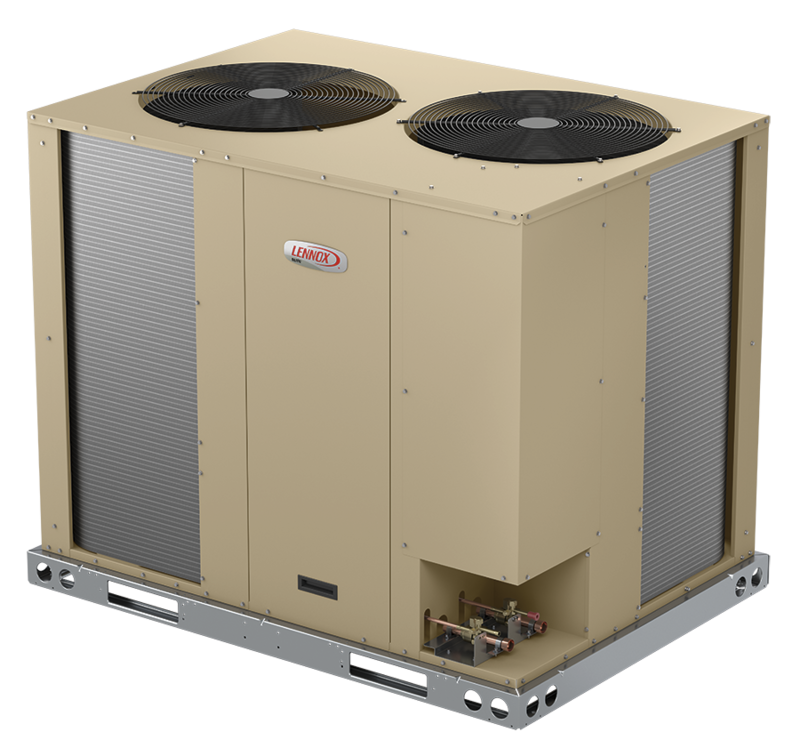 System operates at lower speeds most of the time for maximum comfort, enhanced humidity control and energy savings. MSAV® supply fan technology delivers year-round savings and comfort, improved operational efficiency and enhanced performance. Variable-frequency drive slowly ramps the system’s blower up to speed, offering smooth, efficient and quiet operation. Standard MERV 8 filters increase IAQ by providing higher levels of air filtration and decreasing wind noise. System achieves/exceeds the single zone VAV supply fan requirements for ASHRAE 90.1 2013, California Title 24, and IECC 2015. The Advanced Condensate Management™ system uses quality engineering and innovative design to control condensation and keep moisture where it belongs. Blow-off baffle catches the water droplets blowing off the coil, stopping water from leaking into the duct. Extended drip shield prevents moisture from dripping into the duct system. External filter rack keeps filters dry by channeling condensation directly to the drain. Enhanced cabinet construction with pre-painted sheet metal provides superior rust and corrosion protection. The Simple Service™ system makes installation, maintenance, and service calls easier. Easy-service filters are accessible on either side of the unit for convenient serviceability. Drain pan is easily removable and can be adjusted for both horizontal or vertical applications. Slide-out blower motor reduces installation and service time. Intelligent design provides easy access to the compressor and service valve for convenient serviceability. Low-maintenance blower belt auto-tensioner aids longer belt life and quick belt replacement.